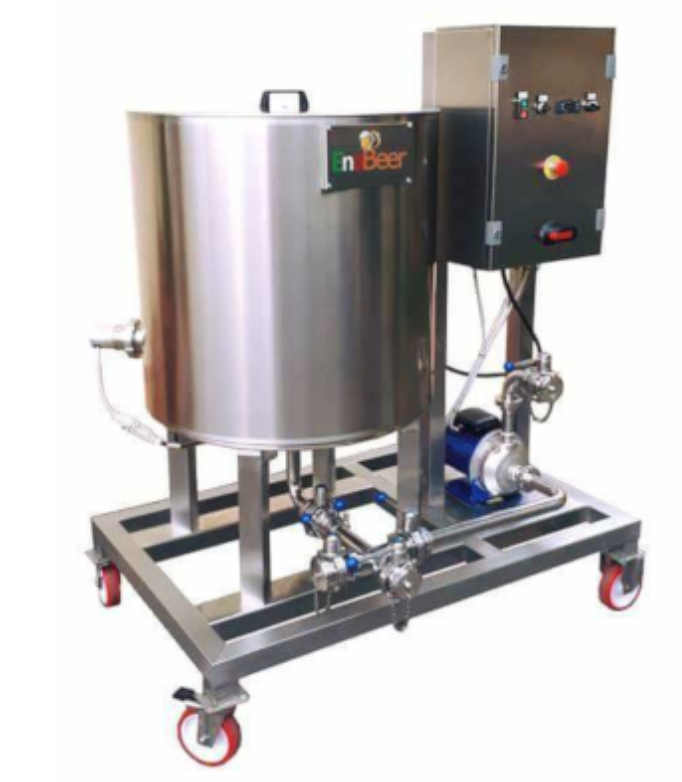 Enobeer CIP 1/2/3 is an automatic cleaning system, which can be combined with the system to be cleaned. The CIP system realizes a recirculation, at certain pressures and/or temperatures, of the cleaning liquids and the rinsing solutions. The plant is entirely made of stainless steel AISI 304, on a frame made of tubular, to facilitate movement. With this system, we make sure that the cooking plant and the fermenters are purified from organic and inorganic contaminants. 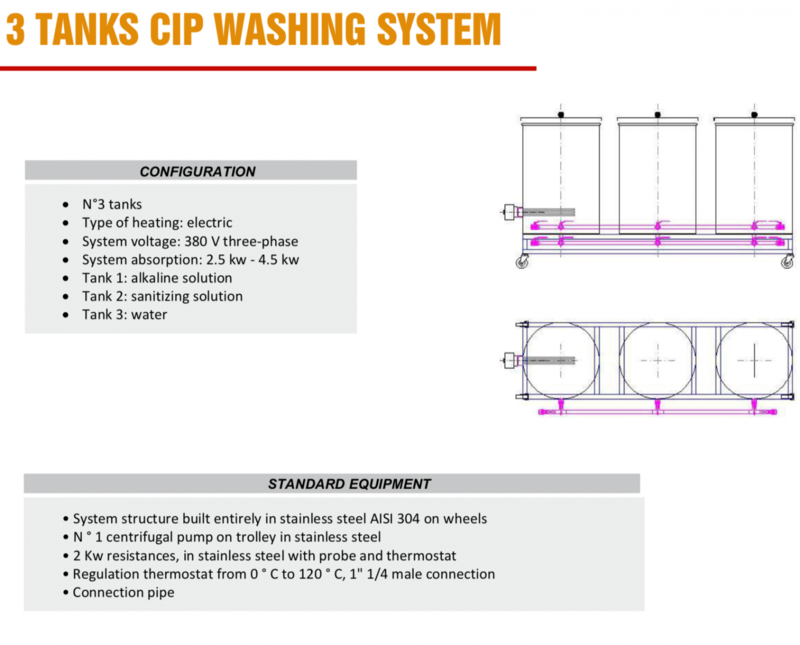 The CIP washing system allows cleaning the internal surfaces of pipes, tanks, equipment, filters and their fittings without the need for disassembly. Furthermore, the trolley equipment allows maximum mobility of the entire structure. The washing system is equipped with resistors with which it is possible to manage the water temperature in the tank containing the alkaline solution. This allows increasing the efficiency of the cleaning process. 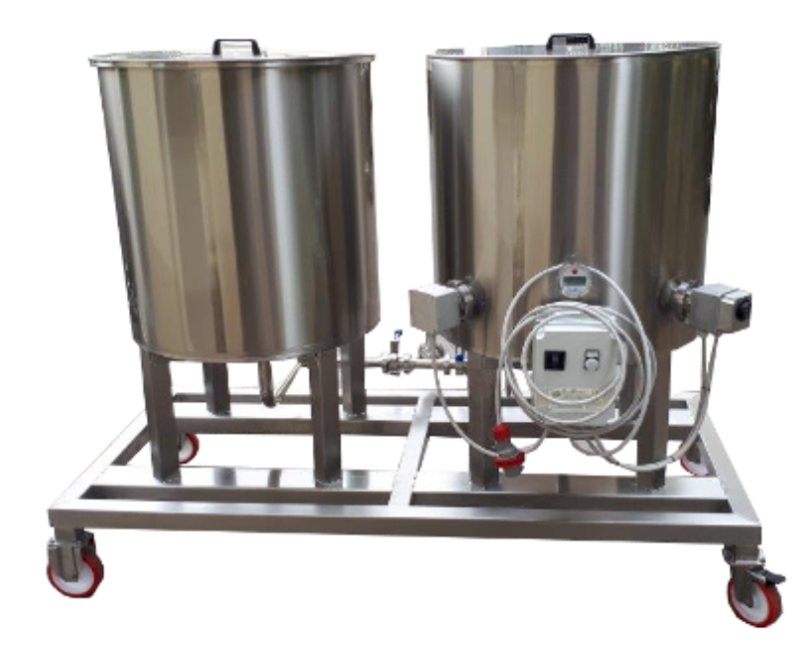 Thanks to the washing CIP, there will be a considerable saving of soap, soda, acid and so on because, once the solution has been sent from the first tank to the fermenter or container to be cleaned, the tank valves can be closed and the system used in “recycling” function. At the end of descaling, the “recovery” pipe will be connected and the solution will be recovered, for possible reuse. Composed of nr. 1 heated tank, containing the alkaline solution. Composed of nr. 2 tanks, 1 heated for an alkaline solution and 2 for sanitizing solution, with peracetic acid. Composed of nr. 3 tanks, 1 heated for an alkaline solution and 2 for sanitizing solution, with peracetic acid, 3 for water or other. 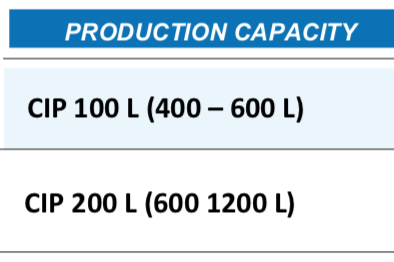 * On request we can realize the plant with tanks of variable capacity, complete with variable power pumps.